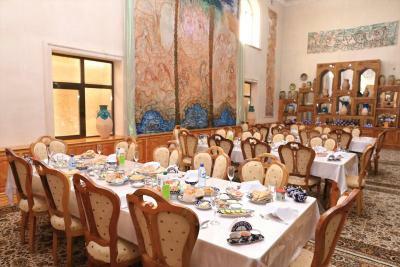 Lock in a great price for Shaherezada Boutique Hotel – rated 8.9 by recent guests! Breakfast turned out to be included, and it was a good one! 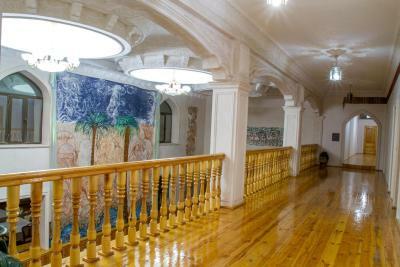 Nice decoration, especially the main hall and dining room. Situated in a quiet, authentic part of town. 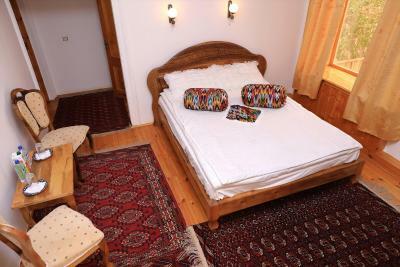 Very nice family boutique hotel within the walls of the old city of Khiva, which means - very close to all the tourist attractions in town. Rich tasteful authentic decorations, very good breakfast, helpful staff. Very friendly and helpful staff. Nice rooms with warm decoration. 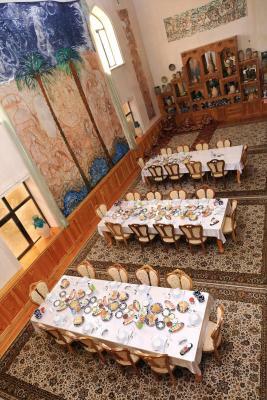 While the location and service are good, many hotels in Khiva offer the same or better for more competitive prices. Wow -- what a beautiful boutique hotel. Every detail is so beautifully decorated by its always-smiling owner. Big, comfortable rooms and bathroom, very clean, and breakfast always ready when we woke up. 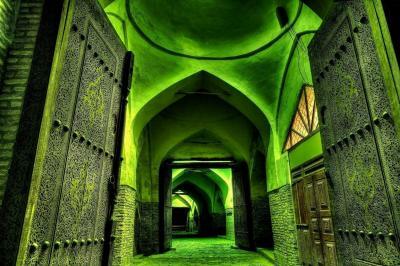 Right inside the South Gate of Khiva's old city, everything is easily walkable. The staff speaks good English and before we arrived sent me an email to help us arrange guide services and taxis. 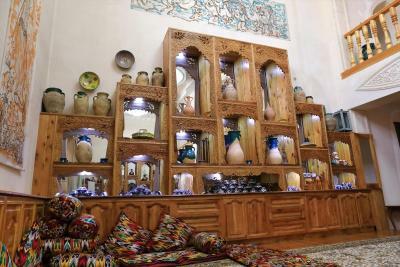 Most of Khiva's museums, which are incredibly interesting, have no English, so if you want the full experience of what you can see and learn in town, this is a good option. Thanks again to the staff for its help and wonderful service! 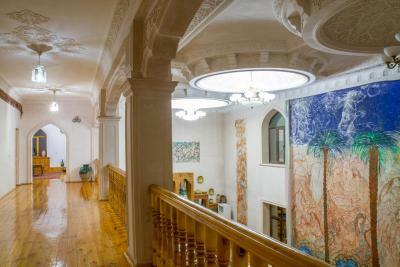 Location is excellent (it's within the old city walls and you can walk anywhere you'd want to go in a matter of minutes), hotel is beautiful, staff is extremely friendly and gave us great advice without pushing their own agenda. Excellent breakfast and comfortable, clean rooms. This hotel is amazing!!! Beautiful woodwork and decorations everywhere. Very friendly staff. Yummy breakfast. Fantastic location. So happy! Thank you! 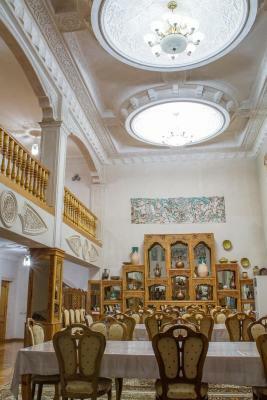 One of our top picks in Khiva.Providing free WiFi, Shaherezada Boutique Hotel is located in Khiva. All rooms feature a TV with satellite channels and a private bathroom. 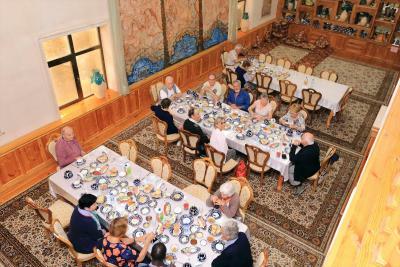 The property provides a 24-hour front desk, a concierge service and buying tickets for guests. At the hotel, the rooms come with a closet. 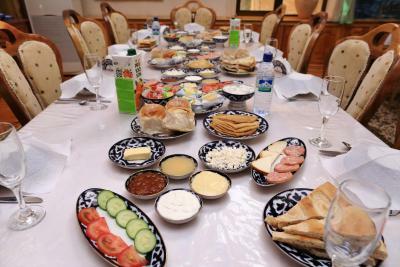 A continental breakfast is served daily at the property. 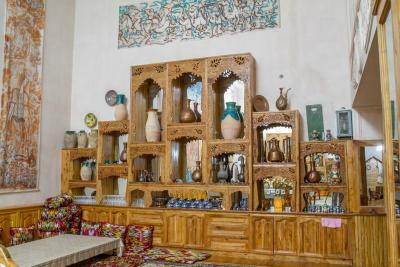 This property is also rated for the best value in Khiva! Guests are getting more for their money when compared to other properties in this city. Good for couples – they rated the facilities 8.3 for two-person stays. When would you like to stay at Shaherezada Boutique Hotel? This double room has a satellite TV, air conditioning and mini-bar. House Rules Shaherezada Boutique Hotel takes special requests – add in the next step! Any additional older children or adults are charged USD 20 per night for extra beds. Cash, cash, only cash. But as it is everywhere like this, hard to blame the hotel. The breakfast was wonderful. We left our luggage at the reception hall for some hours after checking out and when we went back to take them they offered us the possibility to use an empty room in order to change. Disorganized, rude, insulting, blackmail with passport. Horrible. To be absolutely avoided. Difficult to say... nothing. It was a nightmare. Just something to be aware of - the hotel does not accept credit cards and it's not easy to get cash in Khiva, so bring enough with you. They do accept USD, which was helpful! Excellent location in the itchan qala. Good breakfast. Modern building with large and comfortable rooms. But the best thing was the service - quick and helpful responses to email messages and easy arrangement of tours (to the fortresses) and transfers (to Bukhara).